Steady yourself, light your way and be ready to protect yourself if needed. 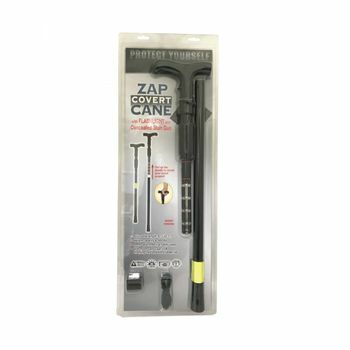 The Zap Covert Cane™ stun walking cane can deliver one million volts to stun the bad guys until the police arrive. 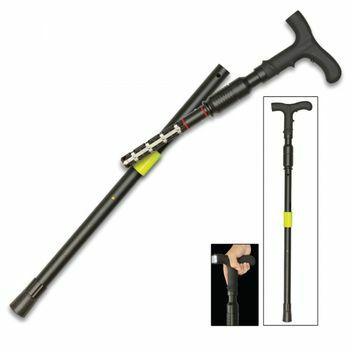 Looks like a normal cane, but watch out - pull up the handle to reveal the secret weapon, an extreme voltage stun gun! 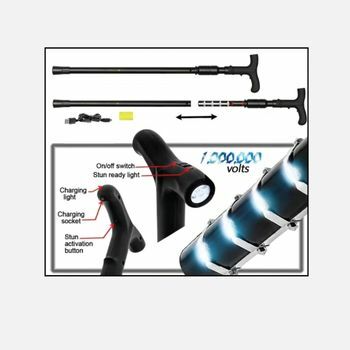 Has a built-in ultra-bright LED flashlight, too. 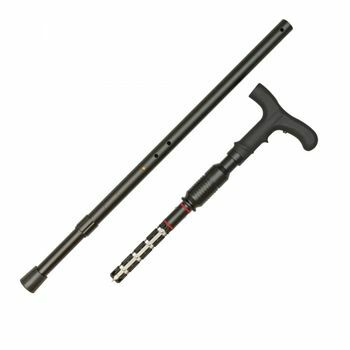 Adjustable Length 305" tp 375"